Due to many social causes and circumstances children come in street where they spend their time with high risk. 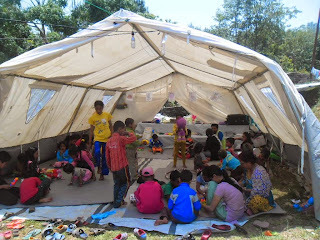 By the aim of risk reduction of such children, CPCS INT makes implementation partner many organization in Nepal. Short term Emergency rehabilitation center ensure them reduce their risk at current time. From the rehabilitation center mainly street base children who are under the high risk they will come for the emergency support as well as we will manage parents meeting, Rapid building with school teacher, social worker, Authority, police, Child Right Officer, Social development officer, local people and many more stakeholder. Field work/ Outreach program reach us root cause of the problem, By the case analysis and discussion make able to problem solving of particular child. Our Rehabilitation Center focus on field work and direct meeting with them who has need of our support. We are trying to build child friendly rehabilitation center in Morang where street base children and at risk children are come for sharing their problem. Our rehabilitation center working for best interest of the children at risk. From the prevention program children also come in rehab where they get tuition class and afternoon snack every day. During the public holiday children come for games and sport, meeting and learning homework from school. In the old house there was not enough space cause we shift our office from Belbari to Lalbhitti from month of may 2016.